Born in northern Ireland, in the Province of Ulster as the second son of a well-to-do farmer, John Smith, James came into the world on 17 September 1719. The family emigrated to America, where they settled in Chester County, Pennsylvania in 1727. Young James Smith was tutored in the classical education of the day by a local Clergy, and attended the Philadelphia Academy (later to become the University of Pennsylvania), where he continued his studies under Dr. Allison. He did some surveying in Cumberland County, PA, which in that early period was of great importance. He also then read law under his brother George and in the office of Thomas Cookson in Lancaster, PA. James Smith was admitted to the Pennsylvania Bar in 1745, and began a practice in Shippensburg, PA, later moving to York, PA.
James Smith, at 41 years of age married Eleanor Armor, daughter of John Armour in New Castle, DE in 1760. She was born in 1729. They had five children, before she died on 13 July 1818. Of these five children, only one, Mary Smith, born 20 April 1763, the second child, survived into adulthood, married, and had issue. All four of the other children died unmarried, or without issue. 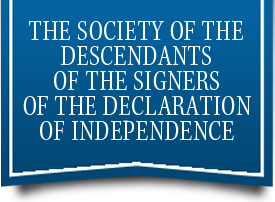 Since it may be important for a searcher of a possible line of descent from this signer of the Declaration, James Smith, and because the surname Smith is very common, it is felt worthwhile to recite the generations from this daughter, Mary Smith. Mary Smith married a widower, James Kelly, who had earlier married Mary’s sister Elizabeth Smith (who died without issue on 6 September 1793). James Kelly was born in 1760 and died on 4 February 1819. Mary Smith and James Kelly were married about 1800/01. Mary and James Kelly had five children, four of whom either died young, unmarried, or without issue. Only Mary, of all the five children of James Smith, had children, who, is married. Mary (Smith) Kelly died on 20 April 1840 in Faun Township, York Count, PA. Only two of her five children, Elizabeth Kelly and Maria Kelly married. Elizabeth Kelly was baptized on 13 March 1803, married Samuel Hopkins, and died on 23 October 1831, without issue. Maria Kelly was born in 1804, married (1st) Elijah Vance, who died and this marriage produced no children. Maria then married (2nd) William Henry Kurtz, who died and this marriage produced no children. Maria (Kelly) Kurtz died about 1862. Thus, it can be seen that signer James Smith, has no descendants down to this day. As James Smith’s legal business grew, his surveying activities decreased, but it was an excellent background for understanding land record descriptions, and the transfer of real property from one owner to another. About the early 1760’s Smith began an iron foundry, but the business did not prosper, not because there was no market for iron—there certainly was; but he had placed the enterprise in the hands of two partners, who were, as Smith reported, “… one of who was a knave, and the other a fool.” So, James Smith lost a good bit of money on this venture. Becoming more widely known in the area, James Smith, by the early 1770’s was quite concerned about the widening rift between the colonists and the Mother Country. He attended a provincial assembly in 1774, where he offered a paper he had written, entitled, Essay on the Constitutional Power of Great Britain over the Colonies in America. In that paper, Smith recommends that the colonies boycott all British goods, feeling that this method of hurting the British merchants in their pockets will force the Parliament to back away from some of their oppressive laws, that were stifling American trade. Such a move is exactly what transpires as the First Continental Congress adjorned in Philadelphia in the Fall of 1774. At this time, in 1774, James Smith organized a volunteer company of militia in York County, Pennsylvania. These volunteers quickly elected Smith as Captain. With the increasing pressure by the British upon American trade, and freedom, this militia company, soon grew to battalion size, and Smith, who was chosen as commander, deferred to a younger man, as he himself was by now 55 years of age. Smith is elected a delegate to the state convention in Philadelphia in January 1775. He concurred in the spirited declaration of that convention, that “…if the British administration should determine by force to effect a submission to the late arbitrary acts of the British parliament, in such a situation, we hold it our indispensable duty to resist such force, and at every hazard to defend the rights and liberties of America.” Strong words, and not exactly the language everyone of the colonists would chose, many of whom, at this time, hoped for some form of “accommodation” with the mother country. This is especially true for the state of Pennsylvania, where many of the delegates, as well as the citizenry are Quakers, or at least leaning in the direction of peace, not conflict. While peace is an admirable goal, there are occasions in the affairs of men when securing liberty and freedom requires a firmer stand, and even a cost. James Smith understood this concept of the price of freedom, and was quite willing to urge other persons to that same view. He was not alone. Persons such as John Adams and his cousin Samuel of Massachusetts; Roger Sherman of Connecticut; Lewis Morris and William Floyd of New York; Benjamin Rush and Robert Morris of Pennsylvania; Richard Henry Lee and Patrick Henry of Virginia; Thomas Heyward and Arthur Middleton of South Carolina, among the number. Smith, in his military capacity causing two regiments of Pennsylvania militia to repair to the Flying Camp, set up near Perth Amboy, New Jersey to deter possible British incursions in early 1776. While still serving in the state assembly in 1775, Smith made a name for himself as a supporter of the causes of American freedom, which more and more appeared to be possible only by separation. 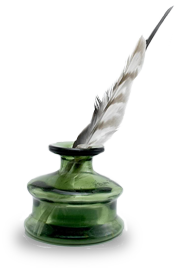 Thomas Paine’s articles in Common Sense began to turn minds more and more toward the idea of “independency.” The Second Continental Congress had been meeting in Philadelphia since 10 May 1775, and adopted the New England army in June, appointing George Washington as Commander, and naming other general officers. Actual fighting had taken place in the Battles of Lexington/Concord, and Bunker Hill, and by 15 May 1776, Richard Henry Lee of Virginia proposed a resolution, “That these colonies are, and of right ought to be, free and independent states …” There it was, in print, bold and forthright. Because there was still too much hesitancy on the part of some delegates, particularly from Pennsylvania, it was decided to table this resolution. This allowed the pro-independent minded to convince the fence-sitters of the futility of accommodation, or of the Pennsylvania assembly to chose other delegates. This approach worked out very well. Numbers of heretofore reluctant delegates began to line up behind the independency program, and Pennsylvania elected new delegates. 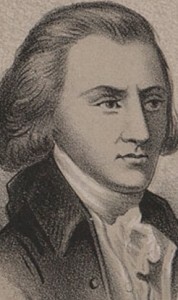 Among these new delegates to the Continental Congress was James Smith. The tabled resolution of Richard Henry Lee, was brought up again to the Congress on 1 July 1776, and approved the next day. Then the Congress spent most of the next two days discussing the details in the language earlier prepared by a five-man committee, but much of it actually written by Thomas Jefferson. Finally, on 4 July 1776, the delegates agreed upon the language in the Declaration of Independence. A quality copy was embossed and signed by the delegates on 2 August 1776.It has been reprinted many times, with the signatures of the 56 signers that is so well recognized today. James Smith, accompanied by Captain Francis Wade and Dr. Young rode off to York on the evening of 6 1776 with a printed broadside copy of the Declaration (Dunlap’s printings), to read to the public in the town square. Smith continued to serve on the Congress, and in his state assembly though 1778. He was elected a Brigadier General of the state Militia in 1781, and resumed his practice of Law York as the was ended and kept at it until 1800, when he retired at age 81. James Smith died in York, Pennsylvania on 11 July 1806, and is interred in the First Presbyterian Chuchyard there. Pyne, Frederick W., The Rev., The Genealogical Register of the Descendants of the Signers of the Declaration of Independence, (Picton Press, Rockland, ME, 1998), Vol. 4, pp. 312-315Born in northern Ireland, in the Province of Ulster as the second son of a well-to-do farmer, John Smith, James came into the world on 17 September 1719. The family emigrated to America, where they settled in Chester County, Pennsylvania in 1727. Young James Smith was tutored in the classical education of the day by a local Clergy, and attended the Philadelphia Academy (later to become the University of Pennsylvania), where he continued his studies under Dr. Allison. He did some surveying in Cumberland County, PA, which in that early period was of great importance. He also then read law under his brother George and in the office of Thomas Cookson in Lancaster, PA. James Smith was admitted to the Pennsylvania Bar in 1745, and began a practice in Shippensburg, PA, later moving to York, PA.